Browse our resources covering G-Watch Monitoring Manuals. 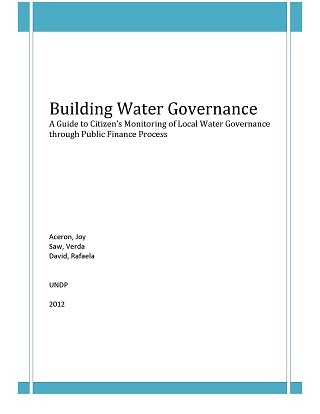 This guidebook gives the citizens’ monitoring team, which we will call the Integrity Watch, a framework on how to assess the processes undertaken by the LGU and the WSP in water service provision. This guidebook is based on actual experiences of other citizens monitoring groups. It has been crafted using Human Rights-Based Approach to organization and development within the water sector, consistent with the MDGF 1919’s mainstreaming of HRBA. 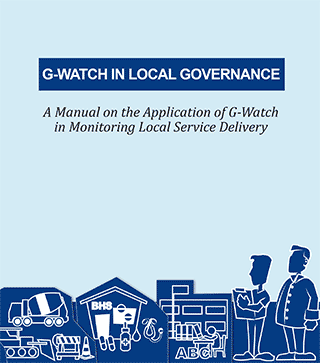 This is a simple and easy-to-use guide on how to implement a community-based monitoring of local service delivery using the tools and methods developed in the pilot implementation of the G-Watch Localization Project. 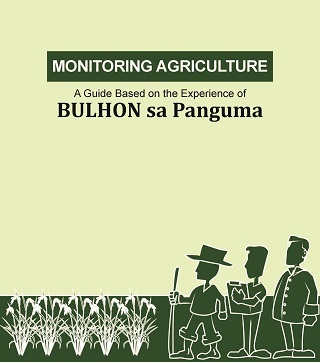 This simple manual will instruct you on how to implement a community-based monitoring initiative for the rice production programs of your Local Government Units (LGU). It will teach you how to use the tools and methods developed during the implementation of BULHON sa Panguma. 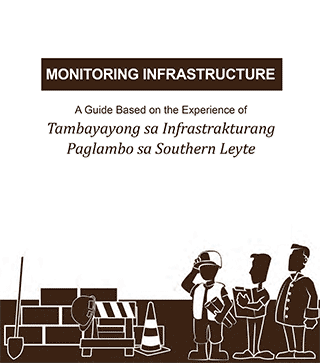 Here is an easy-to-use guide on how to implement a community based monitoring of Infrastructure Projects of a local government unit (LGU) using the tools and methods developed in the implementation of Tambayayong sa Infrastrakturang Paglambo sa Southern Leyte. 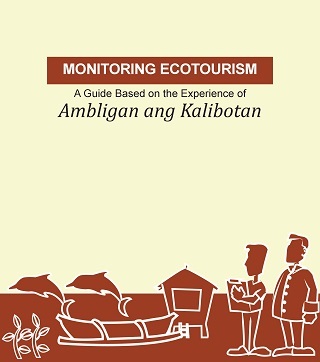 Here is an easy-to-use guide on how to implement a community based monitoring of an ecotourism program of a local government unit (LGU) using the tools and methods developed in the implementation of Ambligan ang Kalibotan. 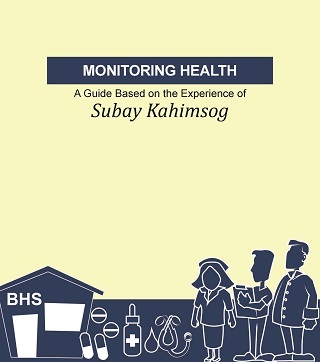 This is an easy-to-use guide on how to implement a community based monitoring of the health program of a local government unit (LGU) using the tools and methods developed in the implementation of Subay Kahimsog in Dumaguete City. 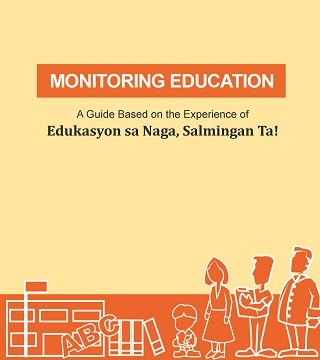 Monitoring Education: A Guide Based on the Experience of Edukasyon sa Naga, Salmingan Ta! This is an easy-to-use guide on how to implement a community based monitoring of education service delivery of a local government unit (LGU) using the tools and methods developed in the implementation of Edukasyon sa Naga, Salmingan Ta! monitoring initiative. 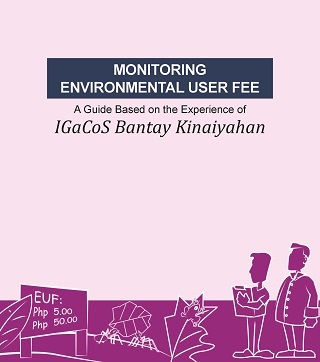 This is an easy-to-use guide on how to implement a community based monitoring of the revenue generation for the environment of a local government unit (LGU), through the Environmental User’s Fee (EUF) using the tools and methods developed in the implementation of IGaCoS Bantay Kinaiyahan in the Island Garden City of Samal (IGaCoS). 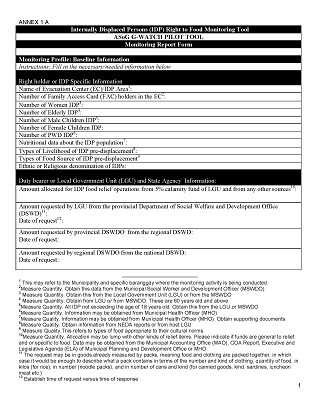 This provides an application of the G-Watch monitoring in human rights compliance, particularly on the right to food of the bakwit, or Internally Displaced People. 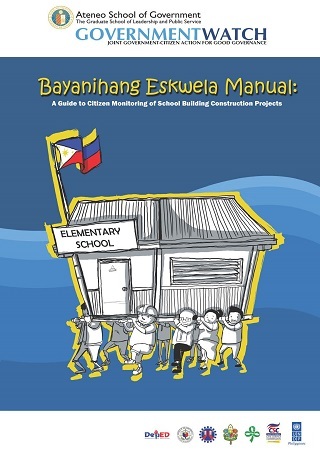 The Bayanihang Eskwela Manual provides its readers a clearer idea of how a community-based monitoring of school building projects (SBPs) using the G-Watch approach is done from preparation to the result of the monitoring, the response of concerned agencies on the identified issues and challenges and the feedback of stakeholders.